As the School Counselor and Advisor, Carolyn Manley brings over 30 years of teaching and counseling experience to SAA. Carolyn is an integral part of the Student Support Team, focusing on providing a comprehensive and developmentally appropriate program. In 2013 Carolyn joined SAA as the School Counselor. From day one, she has worked to build Social and Emotional Learning (SEL) concepts and frameworks into the curriculum and culture of the school. The SAA counseling program is focused on identifying and alleviating obstacles so that children can work to their fullest potential. 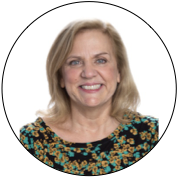 Carolyn works with students in individual, small group, and classroom settings, helping students build skills in areas like emotional management, stress management, self-awareness, and communication. Carolyn is a lifelong Chicagoan from the South Side of Chicago, and a mother of two independent school graduates.